HUBBY’S NOT THE NEXT NICHOLAS SPARKS? Don’t worry! It’s one of the most common topics that comes up from our readers and we’ve got a few tips to help you navigate those unromantic waters. These tips will help create realistic romance expectations in your relationships and help strengthen your marriage. Set your spouse up for success and create a lasting relationship! One of the most challenging aspects of having a spouse who is less than romantic is that every single “traditionally romantic” event in a relationship is a rather large hurdle. We develop these expectations and when they’re not met, we’re left in that awkward position of gracefully being appreciative and yet at the same time acknowledging that what just happened was not what you wanted. When I first moved to the United States as a little girl, my very first American Disney movie was The Little Mermaid. After seeing Prince Eric, I was done. Hook. Line. Sinker. I fell in love with the concept of Prince Charming, romance, and being swept off of my feet. Even as a grown woman who is confident, independent, and working in a very male-dominated field, I still love romance. Give me a romantic comedy and I can guarantee you there will probably be a small flood of tears. Love, romance… the whole shabang is my favorite. The problem is that Prince Charming and the plot of a Nicholas Sparks book are not reality. Ugh, I so wish they were. However, that does not mean we should give up on romance! Instead, we have some helpful suggestions on curbing your idea of romance and helping your spouse be more romantic. A win-win for everyone! Before we dive into anything, this has got to be your number one rule – be realistic. I married a Marine. His concept of a romantic date night is vastly different from mine. The possibility of him creating a date night to rival that of The Bachelor is not going to happen. I know… it stings. I’ll give you a minute to let it wear off. I love the grandeur and splendor of things like that but it’s important to realize that comparison is the thief of joy. In The Bachelor, you’ve got a whole staff of crew members designing these things. Yes, a TEAM of people who sit down and think up the most romantic things humanly possible. Your poor spouse doesn’t have access to that! It’s also important to note that it’s a show and not reality. People don’t normally go from helicopter rides to being serenaded by musicians to Thailand within a few weeks of dating. It sounds like an absolute blast but that’s not how dating works for most people. 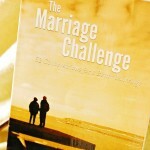 You have to go into this realizing that your spouse is imperfect and he or she is trying their best. On the flip side, your spouse has to realize that he or she needs to out forth effort when it comes to romance because it’s important to you. It’s also important to note that comparing yourself to other couples is a dangerous path to go down. Some folks are naturally romantic and that is awesome for their spouse, however, each couple comes with their unique challenges. Waving your phone in your spouse’s face, attempting to show him a romantic gesture that you saw off of someone’s Instagram isn’t going to help the situation. Instead it will make sure your spouse feel guilty or bad about himself and that’s not the purpose of this exercise. We’re all about strengthening your marriage! Are you struggling in your marriage? Check out The Dating Divas Marriage Club for even MORE great ideas for working on your marriage! 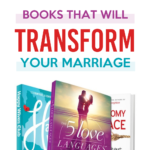 If you as a couple haven’t tackled your love languages, pick up a copy of the The 5 Love Languages . This is a fabulous resource for helping both of you identify what your love language is and how your prefer to be loved. My husband’s involves acts of service and I love giving, whether it’s giving gifts or receiving them. This is important to understand. While my husband appreciates receiving gifts from me, that’s not his love language. He would much rather have me clean out the bathrooms before the weekend or cleaning out the yard so he doesn’t have to do any of those chores. If we switched the scenario, I don’t notice those things like he does so I appreciate receiving flowers from him more than having him clean out the dishwasher. Everyone is different in this area, so take the time to identify and appreciate those differences. Now that your spouse recognizes your love language, set him or her up for success by identifying ways to show those acts of love. It may be helpful to create a tangible list of ideas or to develop a system of helping him or her realize the things that you like. Communication is important here and I highly recommend just being forthright. For example, I e-mail and text my husband links of ideas that I think are cute, or date nights that I think would be fun. I’m pretty sure he has a ton of saved e-mails with links to potential gift ideas. You also have an amazing resource at your fingertips right now – The Dating Divas! If your spouse is interested, he can sign up for the e-mail updates and newsletter. One of my favorite aspects of the those e-mails are that they include quick bits of information on date night ideas and many of them are so easy to set up. Create conversations in which both of you discuss what you expect out of your relationship. If romance is important to you, make sure your spouse understands this. When your spouse does something remotely romantic, let him or her know! Let your partner know that you appreciate them and the effort that they put in. Remember our number one rule about being realistic- sometimes they’re going to mess things up and that’s okay! It’s really important to let them know that you care about them and appreciate their efforts. If you don’t, your spouse is going to feel discouraged and that will take you ten steps back from where you want to be. Keep that line of communication open and definitely don’t forget to be romantic as well! If you liked this post, definitely check out this cute DIY for a Hint Box. 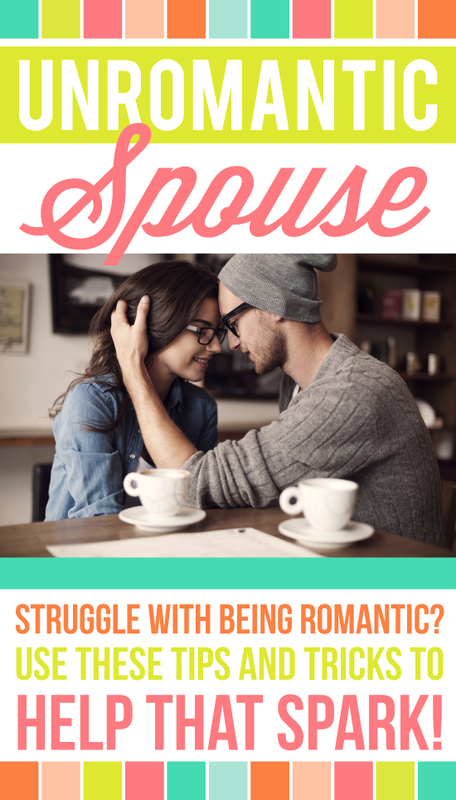 It’s truly perfect for a spouse who struggles with romance. We also have this amazing Ultimate Intimacy Pack with 12 different intimate date nights that are perfect throughout the year! If your spouse is interested in signing up for the Dating Divas’ Newsletter, send him or her to our website, www.thedatingdivas.com to sign-up! They can receive the 7 Days of Love Guide, perfect for helping your relationship understand how both of you preferred to be loved. 16 Responses to Is Your Spouse NOT Romantic? I LOVE this post!! Thanks Kimberly! I’ll be sharing this on social media for sure 🙂 My husband is one of those “non-romantic” ones and it has been so helpful to implement all of these things in our marriage and recognize the things he does do to show me love, even though they may not be huge, romantic gestures! thanks for the ideas! Thanks so much Amberly! I feel ya on not having the most romantic of spouses. My husband recognizes that he struggles in this area, so he actively seeks out my opinions on things and I also help him out by contributing gift ideas and sending him links to things. I so believe that setting him up for success makes the whole process easier on everyone! Thanks for stopping by! Kimberly, I love the post. I really like the part about realistic expectations. That’s a common thing for me to hear from people I represent, they have/had unrealistic expectations. Thank you! I believe there are so many contributing factors to that but overall, having realistic expectations can help improve communication and overall, make for a happier marriage. Thanks for the comment! What a very sweet, romantic post and a great advice too. This helped a lot. My fiancee is not the romantic type nor has he had a relationship where sweet sweet things sweet things were done just for the heck of it. And it’s been a process. But the has has definitely helped. So glad you found this helpful, Bridgette! I wish I had this knowledge. My boys will have this knowledge. Currently my wife has moved out. I discovered her carrying on an emotional affair with another man and our marriage has taken a downturn. I told her that I want to work on it and that this can be fixed. She’s filed for divorce. We’ll see, I guess. I wish I had this growing up, maybe things would be different. For the record this also happens among married gay couples. I’ve been with my spouse for 25 years and I’m a full blooded romantic whereas he is super practical! It’s just a matter of patience love and devotion. It’s hard but it can be done… Food for thought! I needed to read that cause my boyfriend is not affectionate at all but he tries even though i know he doesnt really want to. I had aconversation with him to show him that i needed him to be more romantic and affectionate and i can say he has been trying and at some times ithink he is starting to enjoy it. So this might be a good thing. And thank you, that was really needed.